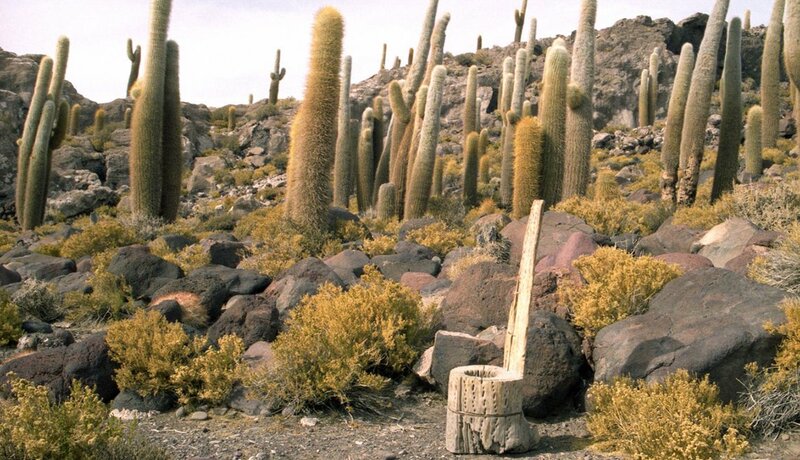 A toilet fashioned from a giant cactus awaits its next al fresco patron on a hiking trail in Bolivia. Caveat squatter: Those are not corncobs in the background. 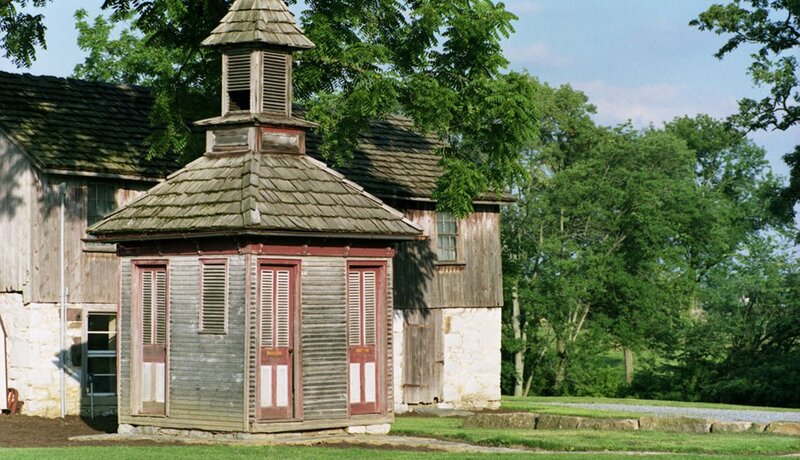 This seven-hole outhouse behind Tulpehocken Manor in Myerstown, Pa., featured separate-but-unequal facilities for 18th-century users (including, possibly, George Washington): The women's side was larger to accommodate cumbersome hoop dresses. 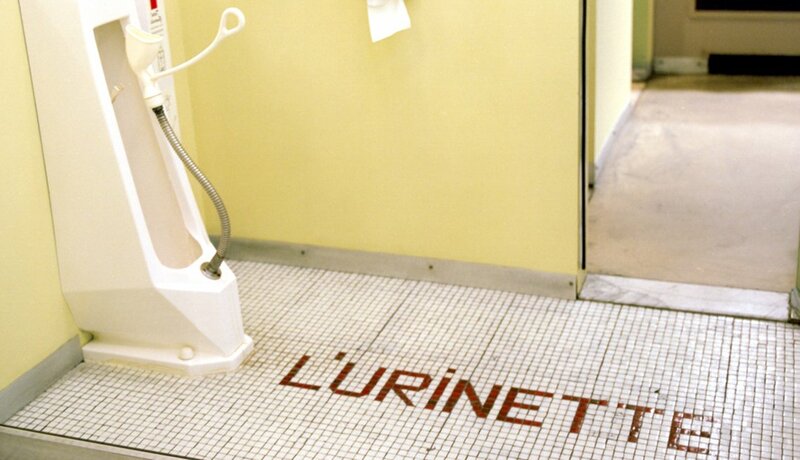 The "Urinette" in Montreal's Whiskey Cafe is, yes, a urinal designed for women. That scary-looking white protuberance? It's actually a handle, used to rotate the cup 180 degrees into position. A wall dispenser provides paper covers for each successive user. By day (left) it appears to be nothing but a keyhole-shaped manhole cover on Moor Street in London. 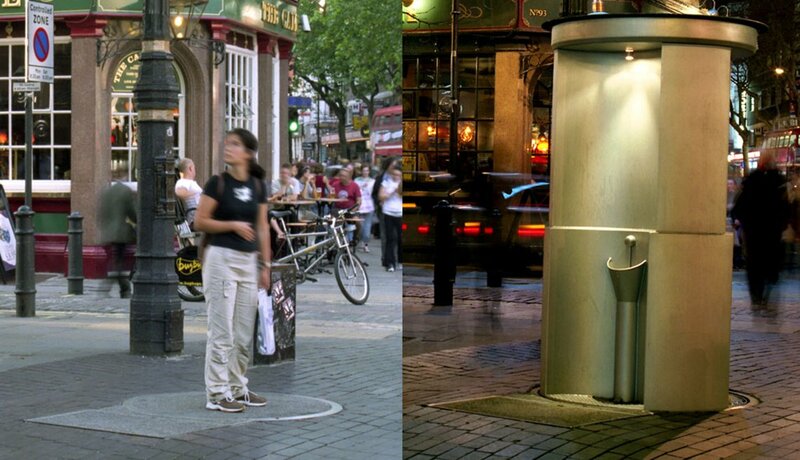 Every Thursday at dusk, however, a three-man pop-up urinal rises into position (right) from below street level, providing semiprivate relief for the long weekend to needy pub-crawlers. 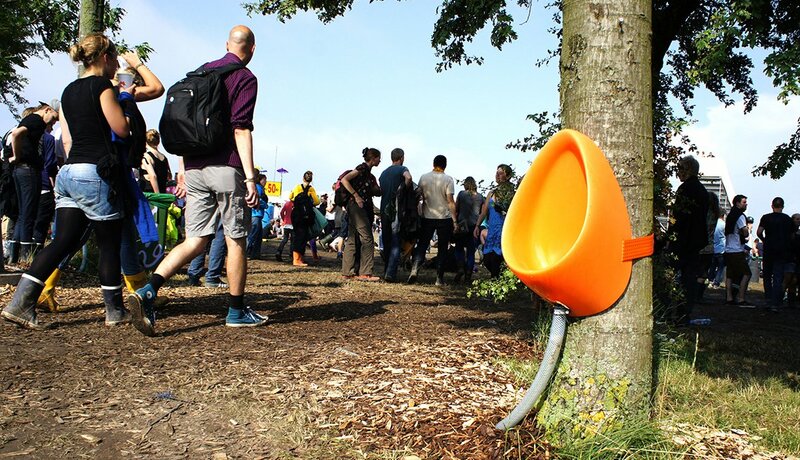 A so-called P-tree provides on-the-spot relief for music lovers at Denmark's annual four-day Roskilde Music Festival in late June. 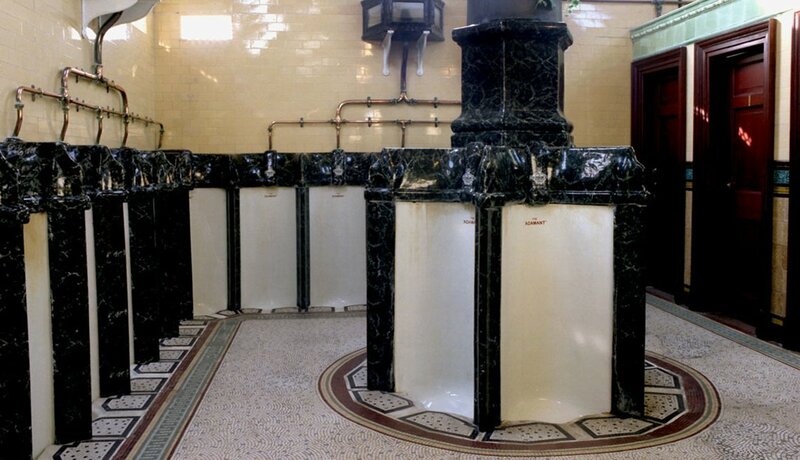 These elegant Victorian urinals were installed at Scotland's Rothesay Pier resort in 1899. Built for just $850, the facilities were saved from destruction in 1994 by the Strathclyde Building Preservation Trust — which paid $480,000 for the restoration overall. A staffer from Japan's Toto Ltd. activates the company's "Sound Princess" toilet, which emits artificial flushing sounds. Now standard in new construction, the device was invented to conserve water: Japanese women had traditionally flushed continually to mask their bathroom visits. 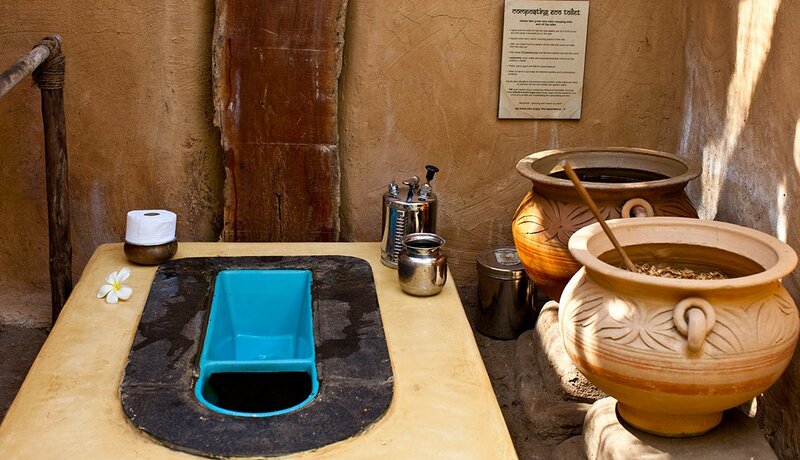 This composting toilet — an unusual variation on the world's ubiquitous "squat toilets" — greets enlightenment seekers at the Yoga Magic Eco Retreat in Anjuna, India. 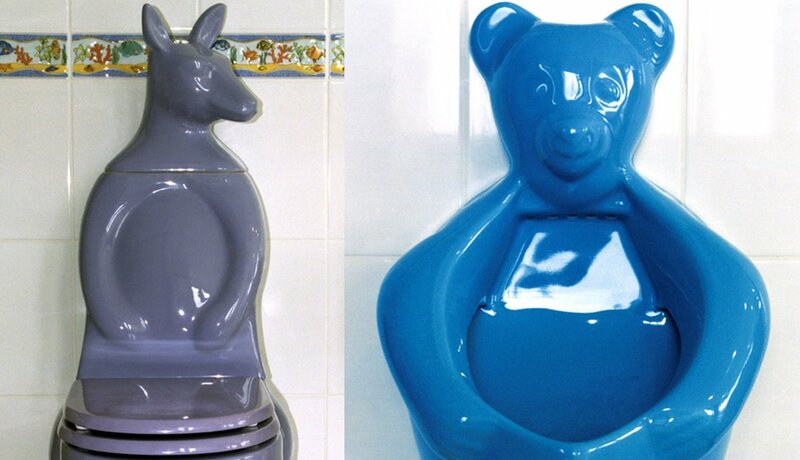 A toilet shaped like a kangaroo and a urinal that's bearly there await upscale buyers at a bathroom fixture store in Izmir, Turkey. 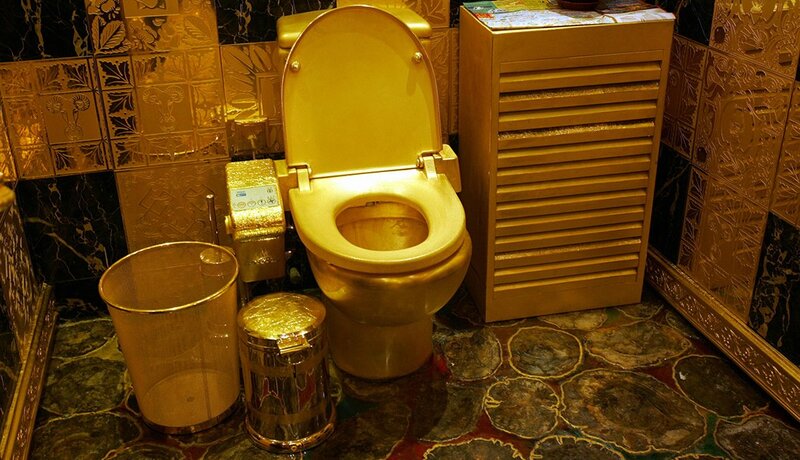 Vladimir Lenin may or may not have been punning when he said that gold toilets would be useful reminders of capitalist waste. But a Hong Kong jeweler took him at his word: This 24-karat solid gold toilet in the city's 3-D Gold Shop will set you back a cool $3.5 mil.